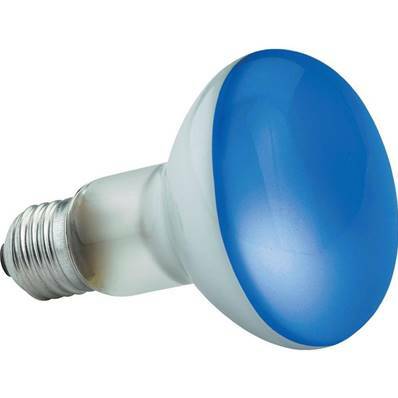 Blue Spotlight Reflector Bulb 60w. The Crompton 60 Watt reflector lamp is a high quality lamp internally fused for your safety. It is for indoor use only.